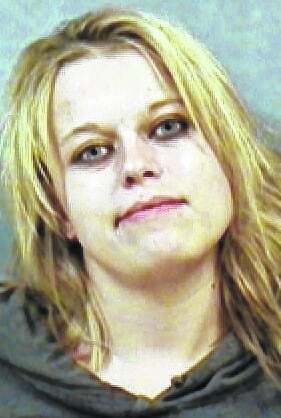 A Leesburg woman facing felony charges in Warren County was arrested late Tuesday night and charged with two additional misdemeanors. According to Leesburg police officer Roy Stephens, the department was previously contacted by a concerned friend who knew about an active warrant for Cannon’s arrest. According to the affidavit, that warrant was out of Warren County. Warren County Common Pleas Court records show that Cannon faces two fifth-degree felonies for possession of heroin and aggravated possession of drugs. She is also charged with second-degree misdemeanor possession of drug abuse instruments. Records also show that last month Cannon was ordered to get an assessment for intervention in lieu of conviction. On Tuesday, an HPD officer went to the Webster school. Shortly before 11:30 p.m., two females reportedly began walking toward the patrol car. When the officer asked the girls for identification, both allegedly said they did not have their IDs with them. One of the females, later identified as Cannon, then took off running, the affidavit states. The officer reported that he ordered her to stop and she did not comply. After confirming that she was Cannon, the officer “chased after (her) around the property to the rear of it,” where he again ordered her to stop, according to the affidavit. The officer further reports that he then asked Cannon if “she had anything on her that she should not have,” the affidavit states. Cannon allegedly said she did not know what was in her purse. According to the affidavit, the officer checked Cannon’s purse and allegedly found: two syringes; two spoons, one of which had a piece of cotton stuck to it; and a clear cellophane wrapper with a white, powdery residue. Cannon was arrested on charges for possession of drug abuse instruments and obstructing official business, both second-degree misdemeanors. She appeared on her those charges in the municipal court on Wednesday. Records show that a pretrial is scheduled for July 24. Cannon’s bond is set at $1,500. She must observe an 8 p.m. until 6 a.m. curfew.